"La la la... la." A little girl stands alone and sings, but hears no response. Gathering her courage and her curiosity, she skips farther out into the world, singing away to the trees and the pond and the reeds  but no song comes back to her. Day passes into night, and the girl dares to venture into the darkness toward the light of the moon, becoming more insistent in her singing, climbing as high as she can, but still there is silence in return. Dejected, she falls asleep on the ground, only to be awakened by an amazing sound... She has been heard. At last. 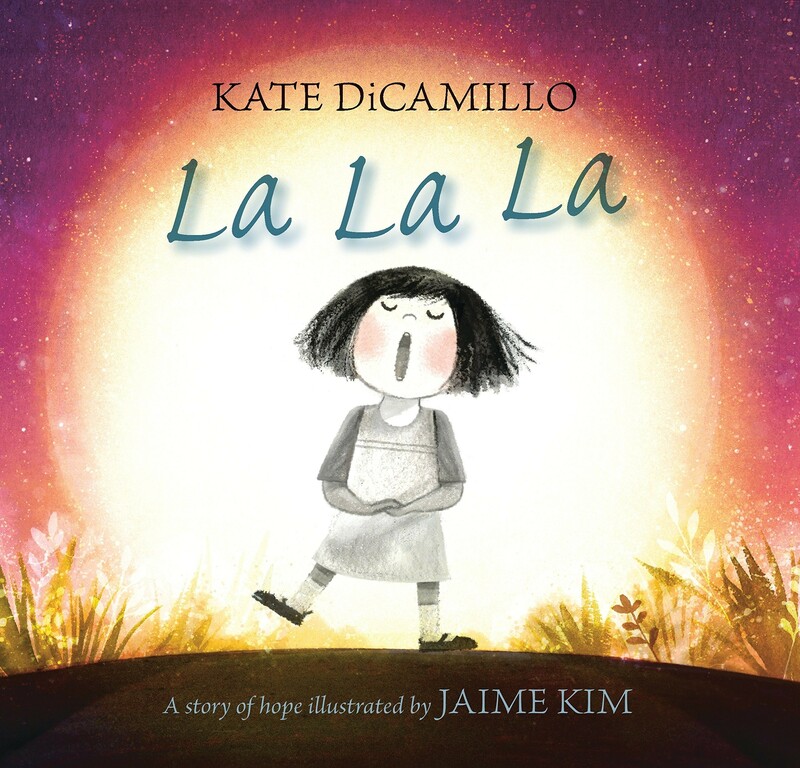 With the simplest of narratives and the near absence of words, Kate DiCamillo conveys a lonely child's yearning for someone who understands. 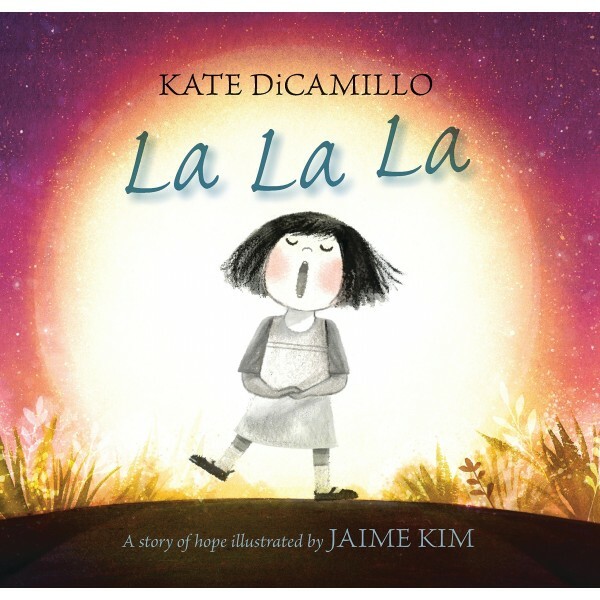 With a subtle palette and captivating expressiveness, Jaime Kim brings to life an endearing character and a transcendent landscape that invite readers along on an emotionally satisfying journey.